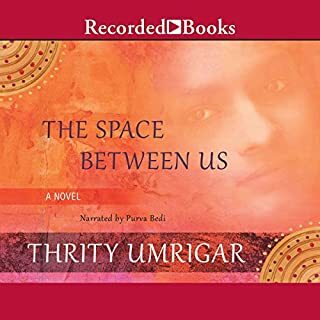 Best-selling author Thrity Umrigar won the Nieman Fellowship and earned a finalist spot for the PEN/Beyond Margins award with The Space Between Us. Set in modern-day India, this evocative novel follows upper-middle-class Parsi housewife Sera Dubash and 65-year-old illiterate household worker Bhima as they make their way through life. Though separated by their stations in life, the two women share bonds of womanhood that prove far stronger than the divisions of class or culture. During a terrible heat wave in 1991 - the worst in a decade - 10-year-old Anton has been locked in an apartment in the projects, alone, for seven days, without air conditioning or a fan. With no electricity, the refrigerator and lights do not work. Hot, hungry, and desperate, Anton shatters a window and climbs out. Cutting his leg on the broken glass, he is covered in blood when the police find him. Juanita, his mother, is discovered in a crack house less than three blocks away, nearly unconscious and half-naked. 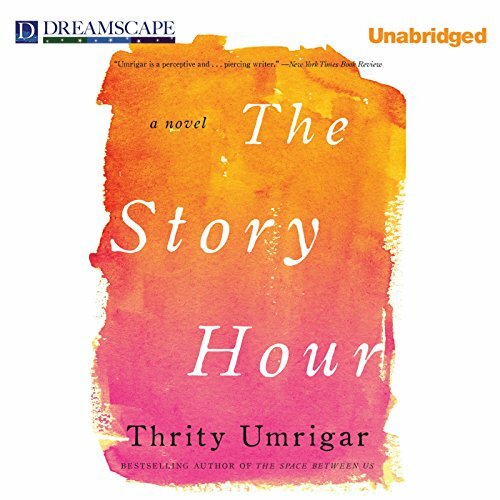 Best-selling author and PEN and Beyond Margins Award finalist Thrity Umrigar’s acclaimed novels “resonate with rich prose and vibrant depictions of India” ( Booklist). In The World We Found, Armaiti, Laleh, Kavita, and Nishta - once friends at the University of Bombay - reconnect 30 years later when Armaiti is diagnosed with cancer. Coming together, all four women are forced to reexamine their lives. Good story but performance not so much! Alaska, 1920: a brutal place to homestead, and especially tough for recent arrivals Jack and Mabel. Childless, they are drifting apart - he breaking under the weight of the work of the farm; she crumbling from loneliness and despair. In a moment of levity during the season's first snowfall, they build a child out of snow. The next morning the snow child is gone - but they glimpse a young, blonde-haired girl running through the trees. This little girl, who calls herself Faina, seems to be a child of the woods. It begins as an assignment for English class: Write a letter to a dead person. Laurel chooses Kurt Cobain because her sister, May, loved him. And he died young, just like May. Soon, Laurel has a notebook full of letters to the dead - to people like Janis Joplin, Heath Ledger, Amelia Earhart, and Amy Winehouse - though she never gives a single one of them to her teacher. She writes about starting high school, navigating the choppy waters of new friendships, learning to live with her splintering family, falling in love for the first time, and, most important, trying to grieve for May. An experienced psychologist, Maggie carefully maintains emotional distance from her patients. But when she meets a young Indian woman who tried to kill herself, her professional detachment disintegrates. Cut off from her family in India, Lakshmi is desperately lonely and trapped in a loveless marriage. Moved by her plight, Maggie treats Lakshmi in her home office for free, quickly realizing that the despondent woman doesn't need a shrink; she needs a friend. Determined to empower Lakshmi, Maggie abandons protocol, and soon doctor and patient have become close friends. But while their relationship is deeply affectionate, it is also warped by conflicting expectations. 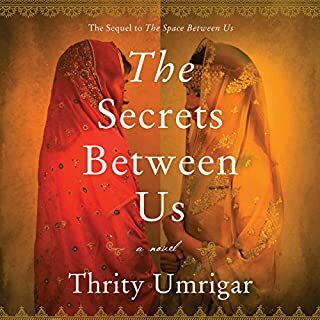 When Maggie and Lakshmi open up and share long-buried secrets, the revelations will jeopardize their close bond, shake their faith in each other, and force them to confront painful choices. 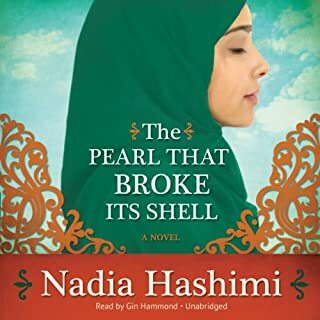 Excellent narration -- brought the characters to life, particularly my favorite character, Lakshmi, the 32 year old Indian woman who meets Maggie in Maggie's professional capacity as a therapist. Their lives become intertwined with both learning from and helping each other, with difficulties and pain at times. The book left me hoping all would be well, but lives do not have fairy tale endings, which is likely true for these characters. 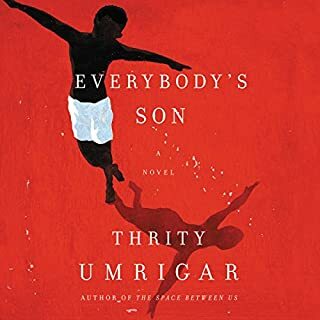 Umrigar has so much insight into the intricacies of human behavior and interactions and weaves stories within stories. Love her books ! What would have made The Story Hour better? I found the shifts back and forth quite confusing. First-person, third-person, Maggie, Lukshmi, Peter... and with one narrator - even one as talented as Sneha Mathan - it was just too hard to follow. I also found that not only did I not like any of the characters, I couldn't wrap my head around their motivations. I tried to like this book, and in some ways I did, but at the end of the day I just lost interest and didn't care anymore. Where does The Story Hour rank among all the audiobooks you’ve listened to so far? If it weren't for the abrupt ending, it would be at the very top, but even with the ending still fairly high. What was one of the most memorable moments of The Story Hour? At the ending where the note is made that we are more important than our mistakes. Very strong idea to ponder especially when you consider giving not only yourself that beautiful grace, but also those around you the same blessing, how different our lives become. What does Sneha Mathan bring to the story that you wouldn’t experience if you just read the book? She is an absolutely perfect narrator. At first I was concerned I wouldn't be able to understand her, but she brings the much needed culture and character that you wouldn't be able to experience if you read the actual book. I'll start off by saying, this was not a book I would typically read, but as I saw the rave reviews it was receiving, I decided to jump on the band wagon to see what all the commotion was about and boy, am I glad I did. Excellent read! Just a beautiful, raw story that weaves culture, marriage and friendship into very real issues everyone faces, no matter the country. Very in depth with no details spared. My only qualm was the ENDING. 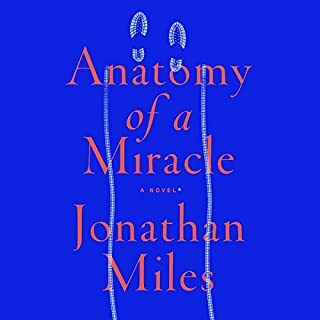 How do you make a book so detailed and pristine and leave me wondering about what happened between the two best friends and the husband and wife? I'm dying to know what became of them. This is a book that will have you thinking long after you have closed the book. One of my favorite points was this *we are much more important than our mistakes*. How deep this single message goes and if we also gift this same grace to those around us, as well, as ourselves, how different our lives become. I would strongly recommend this book to anyone. Interesting tale of two very different women & how their lives intersected and affected each other. Enchanting. Very well written & read. I loved the narration, which gave the (2) women at the heart of the story very disctictive personalities. The book was so interesting and quite emotional, until the final hour. Then it started to drag, and the plot lost focus. The "ending" is just that, not really a conclusion but a "huh ?". Such a letdown. It could have been a (5) star book. Loved this book. Excellent story and the narrator does a great job. Flawed characters that you come to love. I will be thinking about this book for a long time and would be looking for more books by this author. If you could sum up The Story Hour in three words, what would they be? I found this book to be fascinating, engaging and heart-rending. There were several memorable moments in this story, but one of my favorites was when Lakshmi finally realizes her own worth and points it out to her husband. He is so astounded, he can hardly speak -- but that is when the tide begins to turn for Lakshmi's life. Of course, the "turn" actually began even earlier, when she met Maggie, and it is Maggie's influence that leads Lakshmi to stand up for herself. I didn't have only one favorite scene, but several. But most of them involved Lakshmi's innocence and the moments when she would realize or understand something she previously had not. Those moments were charming and childlike and made me feel as proud of Lakshmi as if I'd been the author who created her, or was someone living in the book with her, who had known her. The book made me smile often but also made me worry for the characters in their troubles and concerns -- a sure sign that the author has done a good job of pulling me in as a reader. I was engaged with all the characters to the point where I could hardly wait to know what happened to them next. My heart laughed and cried with them. And unlike with some books I've read or listened to, where I might care about one character more than another and so only want to get back to that plot line, in this book, I was interested equally in both sides of the story, so that when the author switched between characters, I was not annoyed or impatient to get back to "the one I like," but continued to be engaged with all characters and the book as a whole. This is one of the best, most charming and entertaining narrations I've heard, particularly for the part of Lakshmi, and it was a pleasure to listen to all the way through. My one and ONLY criticism of the book is that it ended abruptly. I didn't even see it coming. I wanted to actually see the happy ending that was implied -- and which was, also, in no way guaranteed. Hence, my need to have just a few more chapters so as to really see assured the ending I hoped for. The abrupt ending so annoyed me that I ripped my headset off in anger. But just the same, I cannot discount this book. It was well written and so expertly narrated, with such interesting cultural insights and contrasts, plus simply being so charming in its prose, that I would still recommend it to any discerning listener. This recording made me realize that listening to a great book is as good as reading one! I loved it! I enjoyed this book right up to the moment when it abruptly ended - which, unfortunately was well before the story was over. I'm not a fan of just quitting in the middle. It was so abrupt, in fact, that I assumed something was wrong with my copy and it was missing the last part. Duh. No. She just quit. Yes, to women friends who have a psychological bent. It's a story of sin craving redemption with characters who are fully human. A great read. In print, it would be a page-turner. What other book might you compare The Story Hour to and why? Some of Jennifer Weiner's stories plus an East Indian flavor. Yes, but it required two days because it was 11+ hours long.